My son participates in a local club of the National Christian Forensics and Communication Association. His latest assignment was a team policy debate. I helped him think through his argumentation. I gave him some direction on where to research the evidence to support his position. We considered how some of his research might be used to counter his resolution. It was great fun. I appreciate debate since it is not about spinning a position. 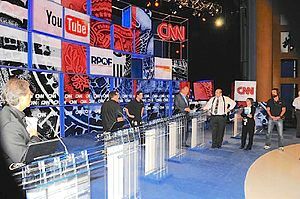 Debate is the skill of presenting evidence to a listener in a manner that is the most persuasive. Strong evidence should triumph over pure persuasion in every debate. The speaker who wields overwhelming evidence just has to present his argument in an understandable manner and the evidence will speak for itself. Therefore, persuasion does not have to carry the day when evidence can speak for itself. However, evidence has a surprising quality. It is malleable. Evidence has to be handled with an intellectual integrity to avoid forming it into an alternative form. Careful editing can cause a study to support an inadvertent conclusion. The emphasis of specific words can imply a meaning that was never intended. The order of findings can represent a cause-effect that is unsupportable. A quote taken out of context can portray a person as a villain or a hero. Unfortunately, we do not live in a world where persuaders adhere to an ethical standard in their argumentation. The eloquent opiate of persuasion is what passes for debate throughout our society, particularly at the highest levels. Facts and evidence get manipulated and molded to conform to agendas. I listen to one political party present their argument and my ears tingle as my intellect leans towards them. As their opposition weaves the counter argument, I am induced in the reverse direction. I feel like the cobra wavering from side to side as competing enchanters vie for my devotion. The problem is that this dance of persuasion is absent the integrity of evidence. These enchanters present evidence that has been molded beyond recognition. They can both use the same evidence to support widely different conclusions. I believe that every person wants to be persuaded by true and trustworthy evidence. However, the determination of the evidence’s accuracy or relevance is ultimately the responsibility of the listener. It would be nice if we could rely upon the integrity of our persuaders but this is not the world we live in. It never has been. The listener is responsible to identify and examine the evidence and then decide if they are persuaded. This examination of evidence can take a lot of time and effort. It is time and effort that most of are not willing to expend. The result is the formation of camps. We congregate in special interest groups and accept the examination of people who we trust. One end of the political spectrum will trust the examination of MSNBC and CNN. The other end of the spectrum will trust FOX News. We do this with special interest advocates, companies, authors, athletes, and celebrities. The Church is obviously a place of belief congregation. However, the Church is not absent its own form of persuaders. There have always been those who have the ability to speak to a generation in a manner and form that is deeply persuasive. These teachers were in the early Church and have persisted throughout Church history. There are several of these gifted teachers active in the Church today. They produce books, videos, conferences, and podcasts. There are some who I believe base their persuasion on trustworthy and true evidence and others who rely upon their gifts to tickle the ears of their listeners and mold evidences to support their preconceived postulates. How can we tell the difference? What are we to do? Whom can we trust? It is not a matter of trust. We have never been called to blindly trust any human leader. It is a matter of responsibility. We either take responsibility for what we believe or we defer it to someone else. God has not left us as helpless sheep in a world of wolves. The Jews in Berea had this problem. 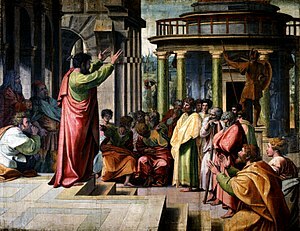 These two men named Paul and Silas came to their synagogue and began to persuade them about Jesus who they claimed was the Messiah. Why should the trust anything that Paul and Silas told them. What were they supposed to do? The Jews of Berea did not defer the responsibility of examining evidence. That is what made them more noble than those in Thessalonica. They listened to Paul and Silas. They were not swayed by eloquent speech. They identified the evidence that these new persuaders presented and then examined it against the scripture to see if the evidence that was being present was true and trustworthy. The Bereans were active listeners. That is how they were able to identify truth and be persuaded toward righteousness. As followers of Christ, we desire to be persuaded by our leaders and teachers toward righteousness. It is a dangerous path to subjugate that responsibility to another fallible person. We all need to accept the responsibility of being active listeners. Let’s not be persuaded by anyone just because it sounds good. May we not sit in pews being enchanted in whatever direction our Pastor woos us, whether towards truth or a mangled form of it. Let us be respectfully engaged in what we are being taught, with all eagerness, receiving the word that is present and then taking that word back to our Bibles to see if it is so. That is the path of the nobly persuaded.